Hi friends! It's release day at Verve and the start of our New Release Spotlight Hops! I'm the first stop on the hop, so settle in and come check out what's new at Verve! 5 beautiful new sets, 6 die sets and a plain jane just released and they're all available to order right now. Throughout the next week we'll be spotlighting each of the new sets with a hop to show you just how versatile these sets are. For my card, I chose to use the Simply Amazing set along with the coordinating Simply Daisies Die Set and Amazing Adjectives Word Die Set. I started by stamping the outline daisies twice with the smaller stamp and once with the larger stamp on coastal cabana. I then cut them out with the Simply Daisies Die Set. These dies are an exact cut, so there is no border around the stamped image. I added a little more depth by snipping between each petal with scissors and hand fluffing. The centers are stamped in barely banana, cut with the dies and accented with stardust stickles. I used the same outline flowers to do a little background stamping both on the coastal cabana and the crumb cake layers. The sentiment is stamped in black and I added the fantastic die cut from the Amazing Adjectives Word Die Set layered in coast cabana, crumb cake, then white cardstock and accented with more stardust stickles. The layout is the Viva la Verve March Sketch 1 that I am hostessing today. Alright, next up on the hop is the lovely Amber. And don't forget to take a peek at all of the new products in the Verve Store. I wasn't too sure about the flower die, I have so many...but after seeing your card, this is a must have, along with the stamp set. Gorgeous. Beautiful! Love the depth and colors! Thanks for the chance to win! Beautiful. Love the flowers and the colors. Great new release. Lovely card. The flowers are gorgeous. Loving the new release. What a fantastic release, Julee! Wow, so much to love. Speaking of love, I'm in love with your colors, all the texture and those gorgeous blooms and sentiment die! Fabulous design new release! I love the glittery "fantastic" word die too!! Loving the word dies and the daisy is aptly named - they are amazing! Beautiful card. What pretty flowers and dies!! Great addition to the Verve lineup!! Your card is super FANTASTIC. A great release! Your card is making me wish for spring! I have so many projects dancing in my head with these!!! Beautiful card! I love that gorgeous background embossing too! Love that fantastic script die! Beautiful floral dies and your color combination is so pretty! 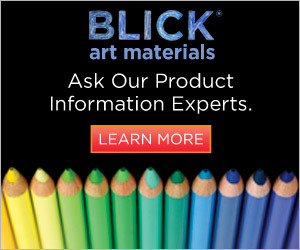 I'm excited about these new products! Your card is beautiful! Those daisies look so 3D! I always enjoy your amazing new releases! your card is beautiful...loving the new release!! so many beautiful stamps and dies!! Wow!! These daisies are just wonderful! Fab card, love it! Thanks for the chance to win this mega-prize, so useful!! Your card is beautiful (as usual LOL), love all the new Verve! Oh, those daisies are fantastic! Love how you fluffed them and added the stickles! Wowzers, love the Spring touch. Imagine winning the entire release. That would bring on a huge happy dance! Love your fresh spring colors, Julee! Fabulous release! Oh, I just love those daisies! So very pretty! Love the flowers & sentiments! Love how you used the flowers! Such a beautiful card. Love the colors. Those flowers really make this card. Such a beautiful card! Love the flowers, and the colors. The new release looks amazing! Wow! It would be so fantastic to win this outstanding release. Love everything. Love the new daisies and word dies! Great color combo! 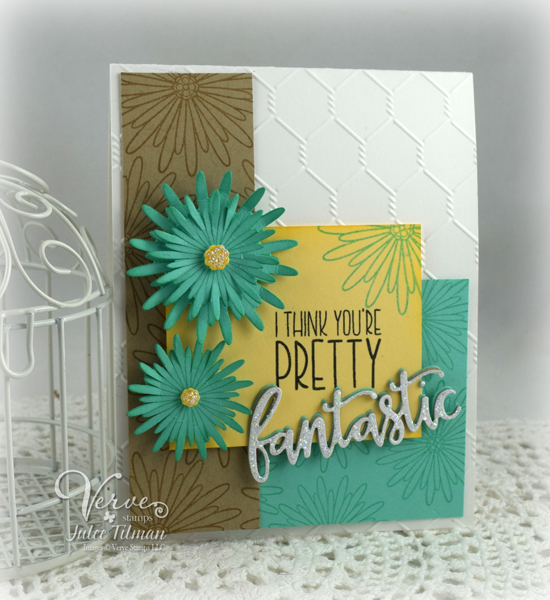 LOVING these new word and flower dies, Julee, this looks like a fabulous release and your card is as beautiful as you always create! These new goodies are awesome! Love the card!! I think you're pretty fantastic, Julee!! Love this dynamic color combination and how you cut in between the petals for extra dimension. What a way to kick off this hop!!!! Oh, wow! I love those flowers! What a lovely card Julee. The flowers are so neat and I like the use of the chicken wire background folder. Whew! Talk about some awesome sets - and then this beauty shows up in my feed. Swoon! Just gorgeous! Great Card! Giving me tons of ideas. Love the pretty flowers and the embossed background together!!!! Hooray! New Verve! Love the daisies and your stamping is inspiring as always, Julee! I absolutely love those blue flowers Julee! The are so cute and to have a matching die cut, even better! Beautiful colors! Fantastic products Julee. Love them all. That card is so pretty. The blue daisies are so pretty... and I (heart) the script word! Super pretty card! Bright and beautiful! 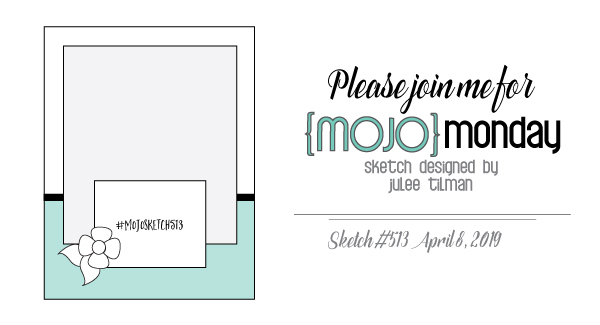 Wow, gorgeous card, Julee! I LOVE this new release! I love this card - the beehive embossing perfectly sets off these beautiful flowers! Absolutely beautiful card, Julee! I love how you snipped the flower pedals to give it more depth. I'm excited about the new release! Gorgeous card! I love this flower. I must have those flowers! Those flowers are awesome and love the color choices for the card! What a lovely card, that daisy die is amazing it cuts so fine. Love the word dies too. What an exciting new release!! Looking forward to seeing all the inspiration this week - I love your glittery die cut, Julee! Lovely! Such beautiful blooms! Love how you created the background and the stacked blossoms look amazing! The Simply Daisies die is just beautiful...so realistic. Must have it! Your card is terrific; well done. Oh! I really love that stamp! And you made an amazing card with it! I really love it! So pretty and I love what you have done with the centers of the flowers! Julee, I absolutely love your beautiful card! Snipping the flower pedals to give it more depth was a great idea!. So excited to hop along, it looks like an awesome release! Oh, I just LOVE your card, it's really cute. That's a great new set, thanks for the inspiration!! Awesome new stamps and I love your card. The colors shout Spring! I'm so excited to see a new release:) and can't wait to get hopping along here. Julee, this card is so pretty and a wonderful reminder of Spring. I love the layered daisies and the way you snipped and "fluffed" them. Wonderful new dies. I love your wonderful card. Those daisies are beautiful. Thanks for sharing. I loVe your new release!!! Love, love, love your work. And I am obsessed with everything floral. The new dies look amazing. Perfection! Will be ordering, for sure. Your card is amazing! Love all those new products - just awesome! Love your color combination and the delightful daisies die-cuts. 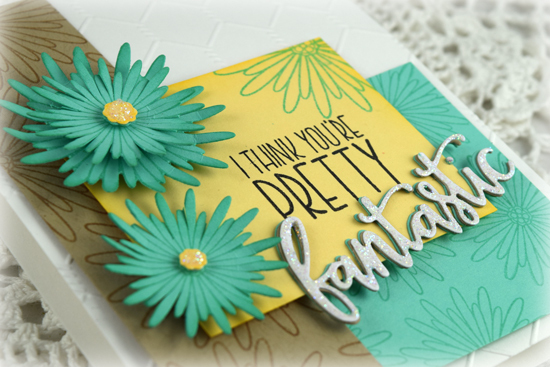 Love the color combo and beautiful daisy with a Fantastic sentiment! Wow beautiful card and great new release!!!! Love how you used the flower as the background and the dies together! Beautiful color choose for your card! Love how you layered the flowers, they look so great that way. I love several things about this, especially the dimension of "fantastic". Woo hoo! Love the bright colors and flower! Beautiful card! Love the pretty daisies and the lovely font of the word die! Very pretty. I love having a stamp set with a matching die. Fantastic design and color combo. Beautiful card!! Those flowers are gorgeous and that glittered sentiment is fabulous! Fabulous card...love the new adjective dies...couldn't wait for the chance to win them ....had to order them asap before they sell out! That is a beautiful card with a lovely calm color combo and special touches like the flowers stamped in outline on the background paper. Gorgeous card, like your color combo and the dimension your created! Beautiful card, love the daisies and color combo. Those layered daisies are so fantastic, Julee! Stunning card! The new stamps and dies are awesome. Love the daisy stamp and dies in particular. Beautiful card! Omgosh, I'm loving everything in this release, gorgeous dies and stamps!! 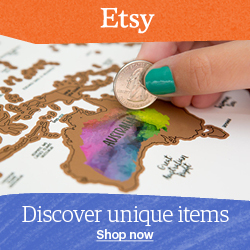 I love the layers you used and the embossing folder all work great with these stamps! What a great release! Love word dies!!! Julee- I LOVE this card! I have so missed working with stamps and desperately need to get some new ones! I LOVE all the new images!! bummed I missed out on the big giveaway opportunity! off to hop!! What a pretty new flower! I love how delicate and detailed it is! Such a pretty card! Love the new flowers. Great idea to use stamps in multiple ways. Great release love the flowers and sentiments. Stunning card and great new release!